Transponder keys are highly advanced programmed keys that have upped the security of modern cars. Today, it is not possible to hotwire the vehicle as thieves used to do earlier. One cannot deny the peace of mind you gain with state of the art technology coming to your aid. The only downside is that if you misplace the transponder keys or it does not work, you need to go for expensive replacements from the manufacturer. Elite Locksmith Services understands this problem very well. In view of the extreme needs of our clients, we offer rekeying solutions related to this highly programmable lock. As the car owner, you do not want thieves vandalizing the car or worse, taking it away. A highly advanced modern solution is the use of transponder keys. Since 1995, the popularity of these products has been on the rise with highly modern options becoming available to the users. Before you understand this, know that these are different from the remote car keys. This chipset key is something independent. With embedded microchip, it also has serial number that is unique to every manufactured key. Once you insert this within the switch of the car, it will start transmitting low-level signals. Such signals are detected by the car and will deactivate the car immobilizer. 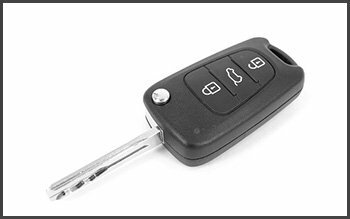 With malfunctioning transponder keys or in situations where the mechanisms fail to recognize the signals, the vehicle remains inoperable. The exterior of the transponder keys might appear quite simple. However, this is completely deceptive. Cloning them is one of the most difficult tasks available to a locksmith. Only someone having specific expertise regarding this will be able to help. 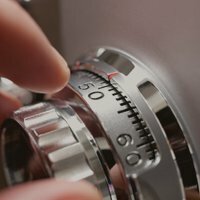 Elite Locksmith Services offers the most dependable service in Fort Collins, CO with expert handling. With our services coming to the rescue, misplacing keys or having them fall into wrong hands no longer remains as worrisome as it should. We offer highly advanced transponder key solutions for our clients. We not only provide the duplicates on site but also do this within the minimal possible time. Give us just 30 minutes and we will have to duplicate ready. Now you do not have to reach out to the manufacturers or the car dealer for replacements. Getting the keys through them is both time-consuming and quite expensive. For more information regarding what we can do for our clients, do call us on 303-928-2651 now.